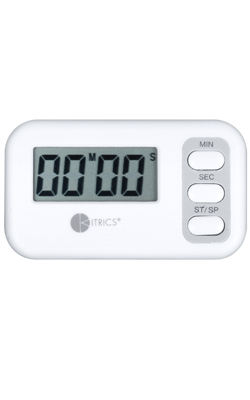 Easy-to-use timer counts down from 99 minutes and 59 seconds. Small enough to clip to your apron. But gets big results every time. Battery included. Count down timer. Convenient clip/stand.